Great product and service. Many thanks. Good price, good battery, delivered quickly. Exellent value for money. Very fast service. No problems. Thoroughly recommended. Vey fast delivery, good safe packaging, excellent service. Good battery, easy to fill up with the acid pack but needed to charge it to get it up to full capacity. Postage was very slow though, actually ordered another battery from somewhere else so I had one in time! 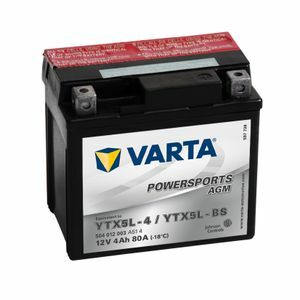 I am very happy with my order of this battery for my Honda CG125 motorcycle. The order process was easy and it was delivered to my place of work the next morning. Battery appears well made and was very well packed. The instructions for filling were clear and well illustrated. The filling procedure was simple and only took a few moments, and because of the excellent filling system there was no mess or risk of acid spillage. The battery fits the bike perfectly and performs well - cranking performance is excellent and the lights are back to their original brilliance. First class battery at a first class price delivered with lightning speed. Will highly recommend. Well done. Fantastic service, excellent product and a web site which has all the info you need - unlike rivals where you have to guess if you are ordering the right product!